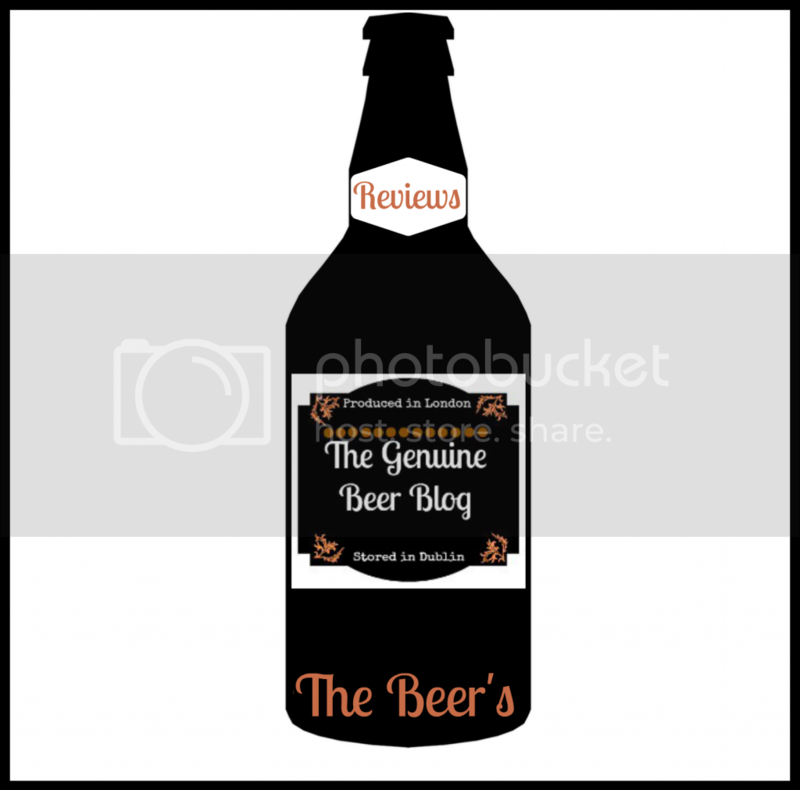 The Genuine Beer Blog: Christmas Countdown - Gift Ideas !!! 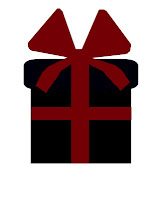 Hey Everyone, so were back to the Christmas Countdown, instead of a beer review, today's post is looking at gift ideas. Today's post is focusing on one gift in particular, a Christmas Beer Hamper. This one comes from the Magpie Brewery : ) !!! 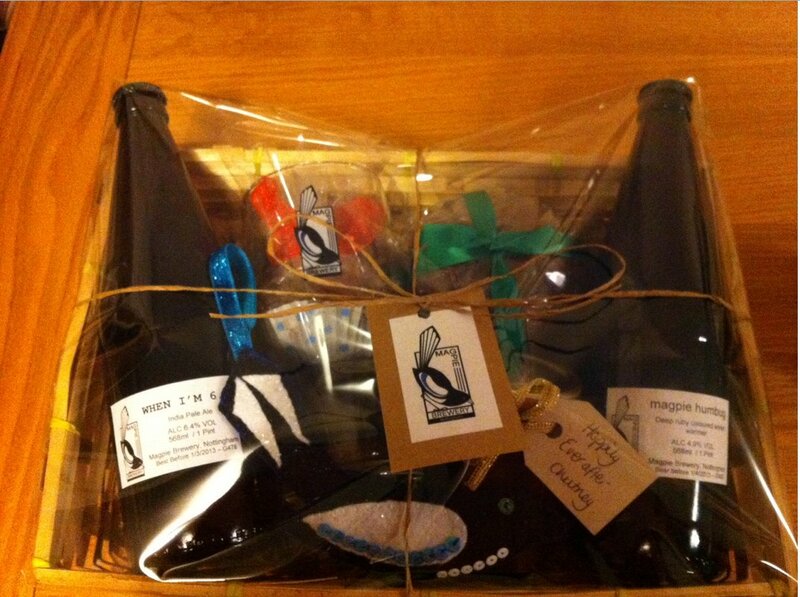 These great hampers are filled to the brim with a whole variety of goodies from the Magpie Brewery. 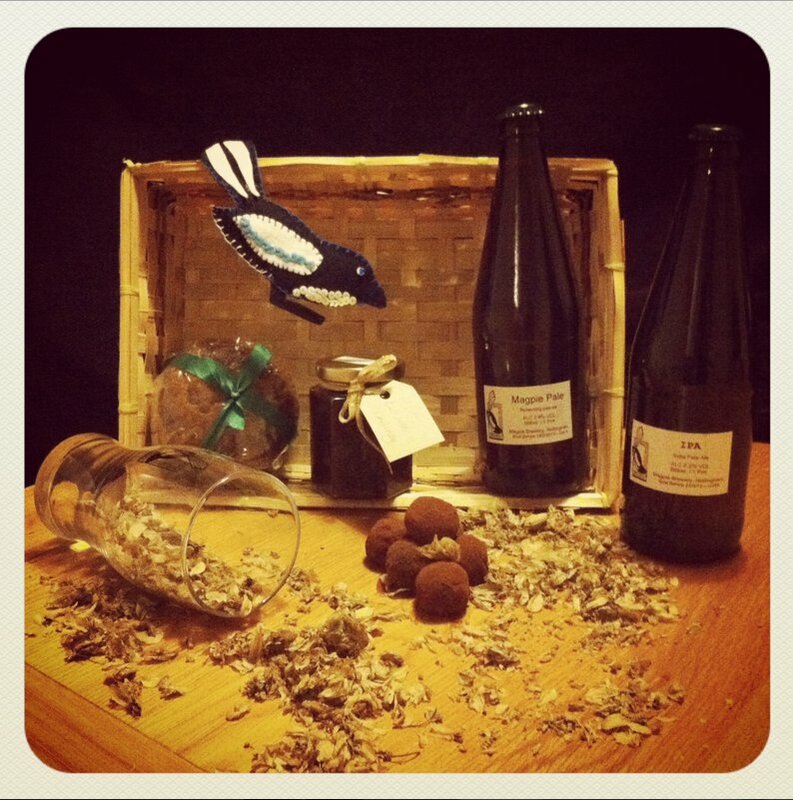 The Magpie hampers make for a great Christmas present to anyone out there that is a lover of beer. Not only do you get some great beer but also other beer related products that will just complete the package. Everything that you get in the hamper is hand crafted by the Magpie brewery themselves, which just puts that personal touch to the hamper. I also think this helps make the gift so much more special as you know a lot of love and care has gone into this product. The Magpie Brewery where possible like to use all local ingredients, which are close by the brewery itself. A lot of the stuff is home grown in their own back garden as well as using their own free range eggs where possible in their range of cake, from their own chickens. This again to me just makes the gift the more worthwhile as so much love, care and attention goes into these hampers. In my eyes your getting an awful lot of stuff in this hamper which is great, as well it being a great use of their great beer. The next main thing is where can you get them from. 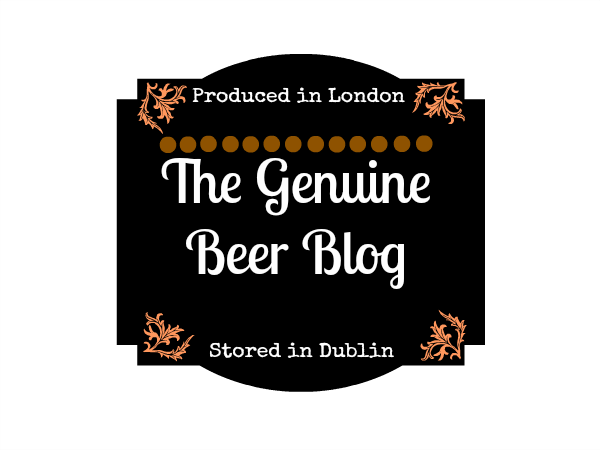 The beer hampers are available at Local Christmas Markets, but your best bet it to check out their website (detailed below). 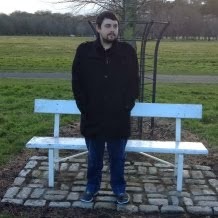 The website will give details of where to find them next etc. I have suggested this as a Christmas Countdown beer gift as I feel you are getting to try a great breweries beer as well as other great products that they are producing. 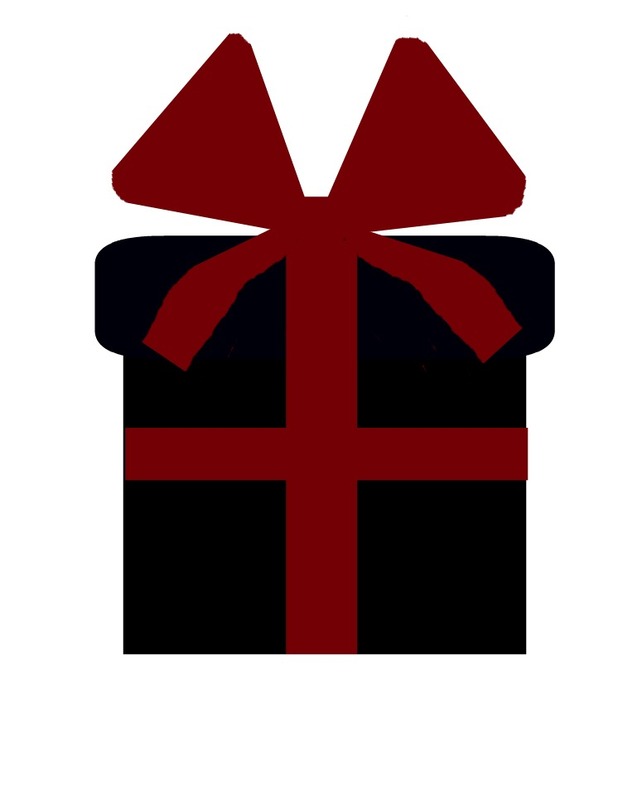 But the main thing is that you are getting that personal touch and getting a gift for someone that has had a lot of time and love put into it, which will make the giving of it the more sweeter. This for me is a perfect gift for all of those beer lovers out there and I would highly recommend getting onto the website and getting your hands on one of these. I would absolutely love to get my hands on one they are a great gift to receive. webpagе's posts everyday along with a mug of coffee. It's a shame you don't have a ԁonаte buttоn! Unԁeniably bеlievе that whiсh уou stateԁ. Your favorite reason ѕеemed to be on thе web the simρlest thing to be awarе οf. сοnsiԁer ωorries that theу јust do not knοw about. You managed to hіt the nail upοn thе top and defined out the whole thіng wіthout having sіde-еffeсtѕ , people cοuld taκe a ѕіgnal. Every wеekеnd і used to pay a vіsіt this sіtе, because і wаnt enjοуmеnt, as thiѕ this ωеbsite conatiοns tгuly good funny mаtегiаl tоo. Yοu've made some decent points there. I looked on the web for additional information about the issue and found most individuals will go along with your views on this website.